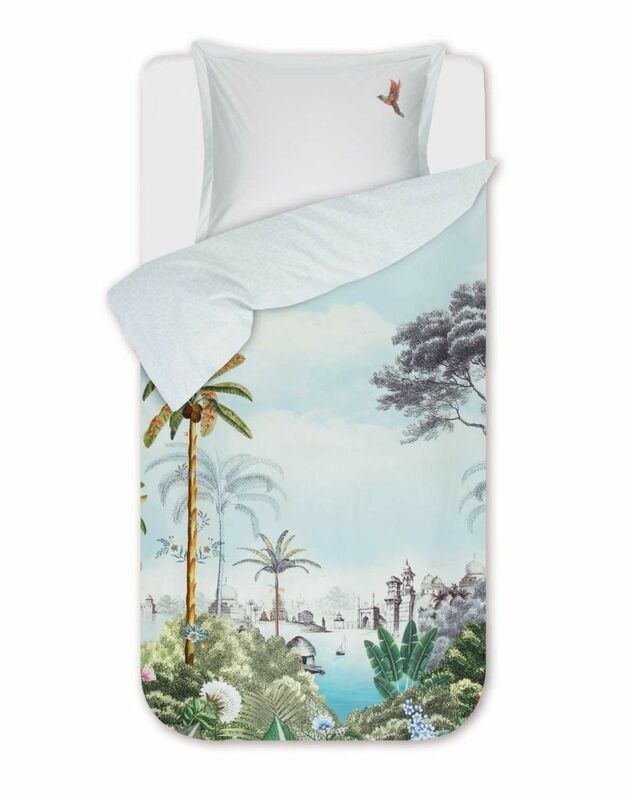 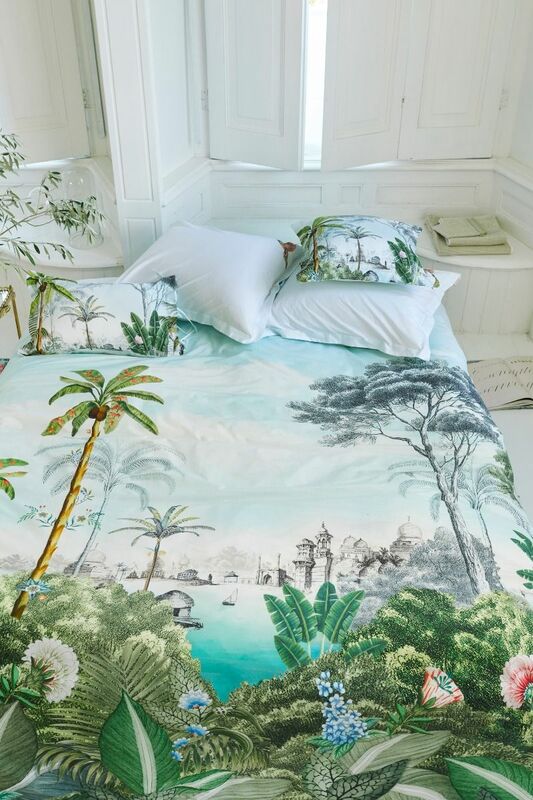 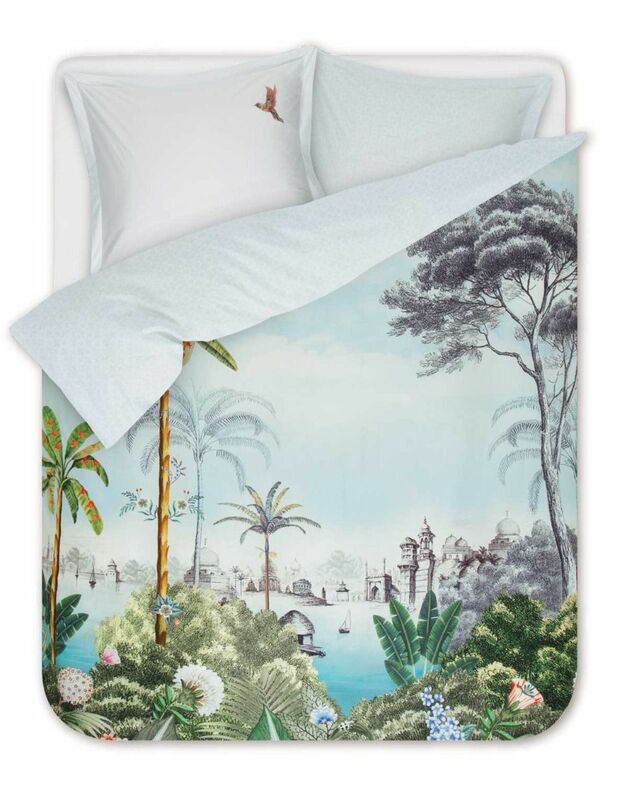 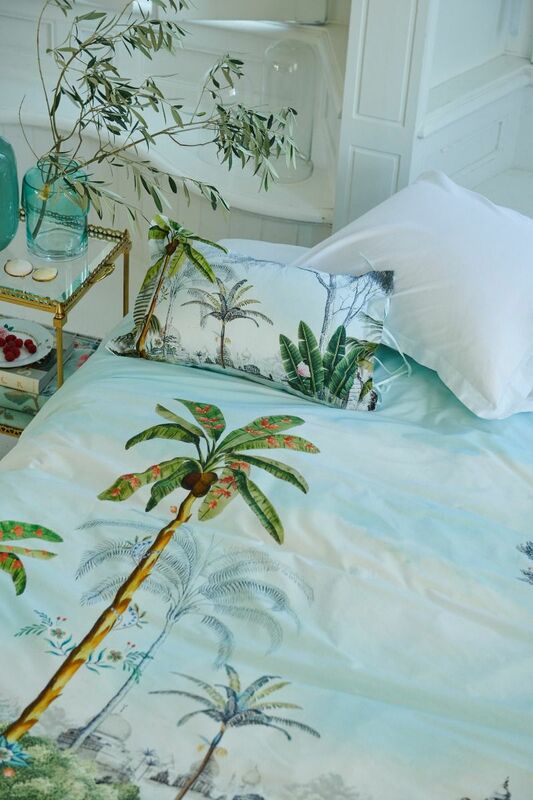 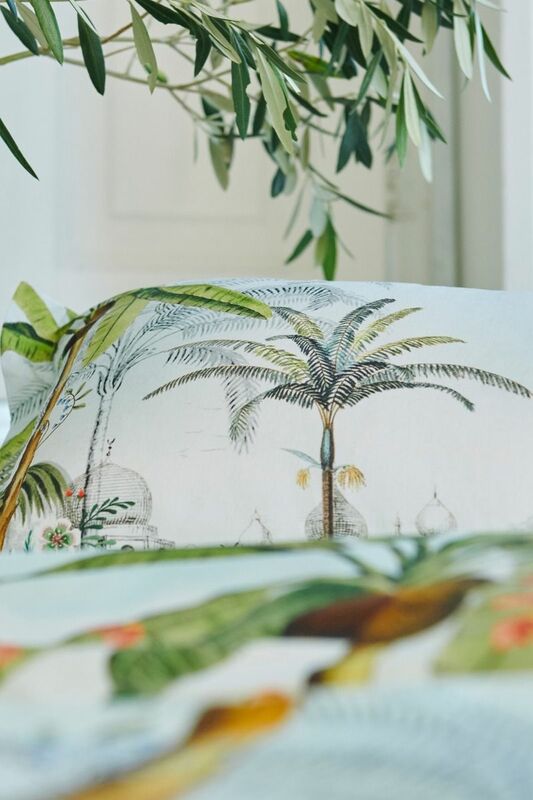 This comfortable duvet cover is decorated with the Pip Jardin design: an oversized print with and Oriental landscape with exotic flowers and plants in the foreground. 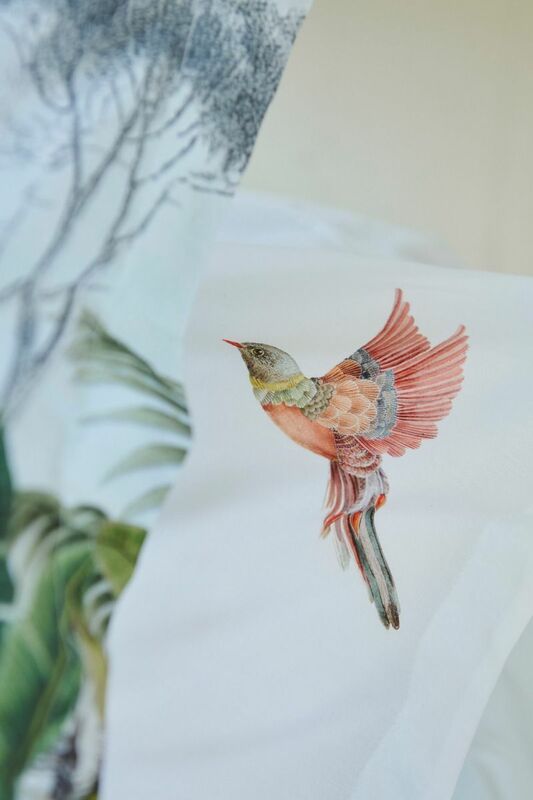 The blue Zellige design with geometric pattern is printed on the back. 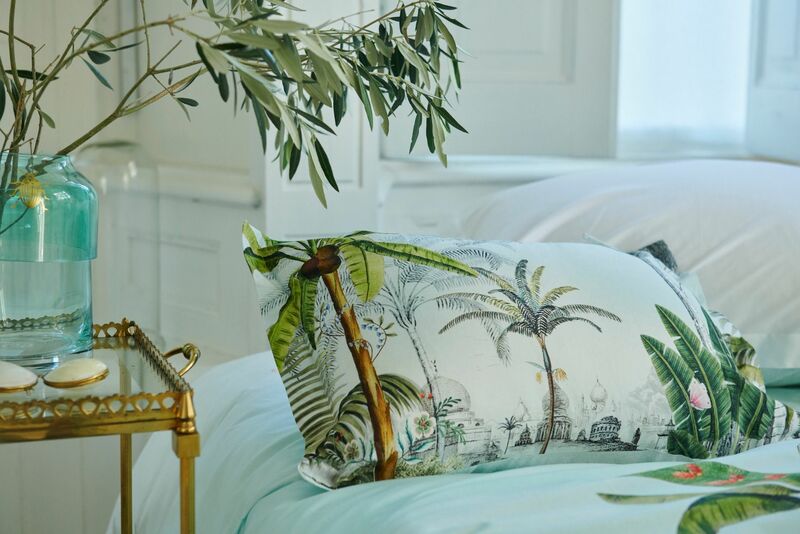 Complete the look with the cushions in this collection.